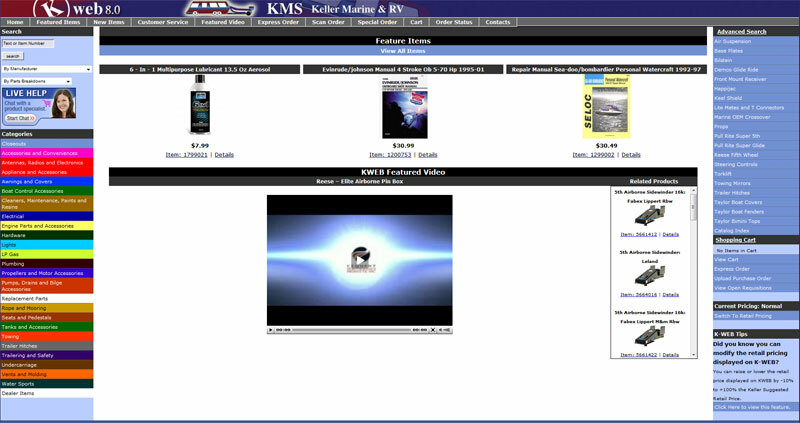 Our KWEB® web based state of the art ordering system is used by the dealer to look up and order parts and accessories from Keller. The system makes it easy to find parts as well as MSD Sheets, Parts Breakdowns, video, and other cool features that make it popular with Keller dealers. The system was designed by dealer feedback and was an enhancement to our ASK system (CD Based). The development of this system was started in 1994. Keller is a leader in Technology for Marine and RV dealers.